Quite a few news articles have been posted online about the selection of the Europa/Jupiter System Mission as the next Outer Planet Flagship Mission. Many of these report on a telecon between NASA officials and a few members of the press yesterday about this announcement. Perhaps the most interesting new news from this telecon is that the flagship mission is currently not fully funded (though budget projection in the last year have taken into account the flagship mission), though according to Space.com, "NASA is setting aside about $10 million to continue studying design challenges for its Jupiter Europa orbiter." Russia, Europe and NASA explore ocean depths of Jupiter’s Europa from the Russian website Pravda. Looks like the Russians are continuing to push their desire to send a lander to Europa. It's all systems go for Europa from the Los Angeles Times. 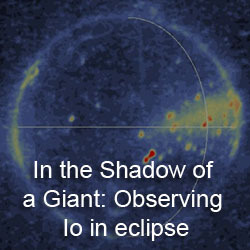 The article focuses a bit on the local angle via the Jet Propulsion Laboratory. I've been following your blog recently due to the big OPAG decision. 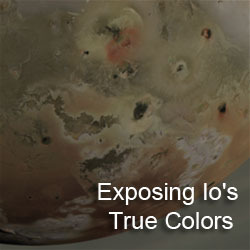 Now that I'm in the habit of reading your blog, I've become more interested in Io. But I'm unclear on exactly what burning questions need to be answered about Io (although I'm sure there are some!) For Venus, I could rattle off 6 or so big questions (Were there oceans? For how long? Did most of the surface really flip all at once? What's the radar-bright stuff on the mountaintops? Is there any evidence of past life in the oldest rocks? Any evidence of present life in the clouds (ala Grinspoon)?) And for other bodies like Titan and Europa, I have a lot more than six big questions! For Io, I'm embarrassed to admit I have no big questions. Is there a past posting on this blog you'd like recommend? Or alternatively, it would be great if you could take a stab at this basic question in some future blog post. Thanks! Whoops! That comment should have gone under your most recent Io posting! That would be a great idea for a blog post. I'll see what I can cook up either tonight or tomorrow. That's great! Whenever you have time, I'll greatly look forward to it. I'll make a confession at the risk of perhaps slightly vexing you: Like many other lay people, I think my interest in planetary exploration is driven my twin interests in astrobiology and space colonization. For example, I'm anticipating Dawn's visit to Ceres because maybe there was (or even is) a liquid water ocean, and of course, ice would be useful resource for human habitation. 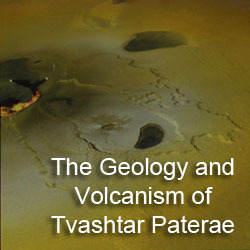 On both fronts, Io seems to strike out, and it would require a love of vulcanology for its own sake to elicit interest. But a) maybe that's wrong and b) maybe vulcanology can become intriguing when discussed by the advocate. Seems like you'd need (or at least, you ought to need) that a sales effort to get a tax-payer-funded dedicated Io mission.